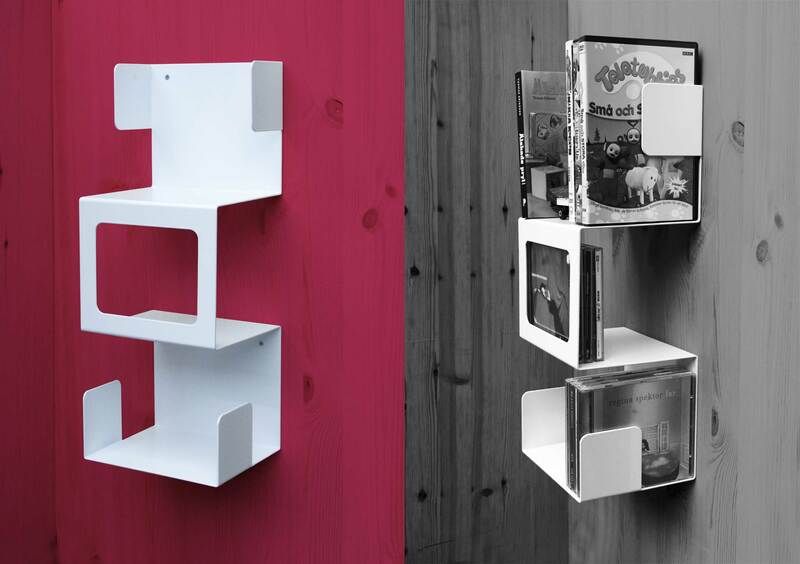 Wall shelf with focus on carrying and displaying CDs and DVDs. Also works great for paperbacks or other small gadgets. Made of coated aluminum. Produced in Sweden. 2010.